It seems the heads of the Britain and America's top architectural organizations are annoyed that Gage got to talk at the Royal Institute of British Architects, accusing him of using RIBA's name to give credibility to a 'bonkers' conspiracy theory. The Randi-crowd are of course using this fact to argue that Gage is crazy. I live in Wiltshire, which is a four hour, sixty pound train journey via multiple changes and a tube ride away from Cambridge, but only 45 minutes away from Bristol. So while I couldn't attend Gage's talk at Cambridge University last saturday, I was able to see him in Bristol on tuesday. I had intended to stick around meet him afterwards but the Q&A dragged on too long and I didn't want to miss the last train home so I had to leave early. Anyway, I can assure you there was no 'conspiracy theory' in his presentation. In fact he's even taken out Larry Silverstein's 'pull it' comment. When asked about this in the Q&A he said he took it out because he was fed up with arguing with people over what 'pull it' meant, prefering instead to stick to the science. Now assuming the presentation I saw was the same as the one given to RIBA in London, I know David Aaronovitch is talking crap when he says "What they mean is that George Bush and the Zionists brought down the towers. The RIBA let itself out to a conspiracy theory organisation whose theories are utterly insane." The only theory that is utterly insane is NIST's thermal expansion theory. At one point in the presentation I saw, after outlining the thermal expansion theory, Gage said something like "There are so many things wrong with this, but for the sake of time I will only list twelve!" and then went on a rapid fire tirade simply on why the idea of heated floor beams remaining rigid, breaking numerous bolts and studs in unison and pushing against a girder, instead of just sagging, is ludicrous. If Aaronovitch, who attended the RIBA lecture, accepts the official story of 9/11, then that is what he endorses! When question time began, quick on his feet and first to the microphone was David Aaronovitch, Times columnist and self-styled expert on ‘conspiracy theories’. Charlie Skelton, a freelancer who writes for The Guardian, observed that of all Aaronovitch's four points, presented as questions like ‘what happened to the passengers on the planes?’, none addressed the subject matter of the presentation. Gage's bald answer to each was essentially: ‘I don’t know. I’m not an expert on conspiracies but on building design.’ When Aaronovitch complained that the meeting was biased against the official story of 9/11, he was challenged to take part in a balanced debate with Richard Gage. Two hundred people heard him say yes, but one organiser predicted that he never would. Of course Aaronovitch consistently claims that there isn't any evidence for our position. Richard Gage's presentations are full of such hard evidence which Aaronovitch claims doesn't exist. So Aaronovitch's ego drives him to engage in all kinds of mental gymnastics to dismiss the evidence being presented. As I've said before, it's very much like Cartman in that South Park episode with the 'Fishsticks' joke. There's some psychology for you Mr Aaronovitch! And what does Aaronovitch say about the presentation? ... absolutely nothing whatsoever ... other than an anecdote about someone in Gage's audience and his apparent anti-semitism. Note the highlighted box quote: "Most of us can avoid sharing air time with known racists". Does he have anything other than guilt-by-association arguments? Thanks to James Hufferd of 911grassroots.org for assisting me with some research for this article. James recently responded to Kay's book, to which Kay retorted, and this is my end-all be-all response to Kay. In Frank Moher's review of National Post writer Jonathan Kay's new book Among the Truthers he writes, "Kay got his start on this beat when, as he reminds us, he discovered that a Liberal candidate in the 2008 federal election had six years earlier reported on some of the findings of various independent researchers into 9/11. He immediately employed the Post in a successful campaign to have her turfed as a candidate." Almost one month after Kay's initial hitpiece he admitted that he knew nothing about the issue before writing it, stating, "I have never bothered schooling myself in the minutiae of 911-ology — the microscopic examination of photos and videos, the comparison of melting points and mechanical properties of this or that construction material, the second-by-second timetable of U.S. Air Force activity on the morning of Sept. 11, 2001." However, he promised to change his ways noting that he was "going to slog through the 9/11 Commission Report — and maybe even some other texts besides." In addition to doing this Kay says that he spent "three years interviewing Truthers, reading their literature, attending their events, and surfing their discussion forums." Here is a video showing Kay attending a lecture by Richard Gage, founder of Architects & Engineers for 9/11 Truth. The true extent or thoroughness of Kay's research can not be determined from his book, because as he writes, "Debunking books don’t sell, one New York City editor explained to me when I told him my original draft of Among the Truthers contained several long chapters explaining the logical fallacies within 9/11 Truth theories." Kay instead refers his readers to other sources of information like the Popular Mechanics book Debunking 9/11 Myths: Why Conspiracy Theories Can't Stand Up to the Facts. As I've stated of Griffin's book, I strongly disagree with some of his research, such as his analysis of the phone calls from the planes on 9/11, however, he does an excellent job in regard to the destruction of the WTC Towers and lack of air defense on 9/11, but I'll get back to Griffin and his work in a bit. As Professor Hall notes in his review of Among the Truthers it would be nice to view these missing chapters of Kay's book to see just how exhaustive his research was. Hall then points to an article entitled "Hemingway and Orwell fought in the Spanish Civil War, but Jonathan Kay couldn’t handle an afternoon in the rain" by Dallas Hansen as evidence that, as Frank Moher put it, Kay wasn't "out to understand" truthers, but rather "out for their scalps." Hansen writes that Kay "showed up for some 'field research' back in September  and he didn’t seem interested in talking to anyone or seeing anything at all. He seemed more concerned with checking Facebook on his Blackberry and taking phone calls from his wife... You were never Among the Truthers—rather you acted as though their ideas were a contagion from which you could stay immune only so long as you stayed in your ivory tower." Since early 2003, [Jim] Hoffman has been writing about the collapse of the World Trade Center (WTC) and other aspects of the September 11, 2001 attacks... Dr. Steven E. Jones, a physicist formerly with Brigham Young University, has credited Hoffman's WTC7.net website and described his work as an inspiration for conducting his own analysis of the WTC building collapses. Hoffman's book and websites are cited in Jones' essay "Why Indeed Did the WTC Buildings Collapse?". Hoffman has also been cited by author David Ray Griffin. Hoffman has refuted the premise put forward by Kay for a very long time via FAQ links on the front page of his website 9/11 Research, noting that, "demolitions could have been controlled using wireless detonators... may have been achieved without accessing the perimeter columns... could have been disguised as or concealed within legitimate equipment... and installed by workers oblivious to their surreptitious function." In two other FAQs Hoffman further addresses the "large numbers of people" argument as well the idea raised by Kay in the debate that it's implausible to think officials would be involved in a conspiracy to kill their own people. 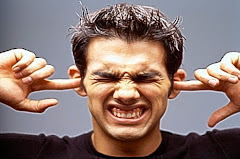 Kay and James Bennett of the Screw Loose Change blog have both recently proclaimed that Among the Truthers is not full of various types of ad hominem argumentation and insults. The term conspiracy theorist is just the tip of the iceberg, but as Kay himself has stated, "properly contextualized...the official version is a conspiracy theory too because you're theorizing about a conspiracy perpetrated by 19 hijackers and their supporters in Afghanistan." Only using "conspiracy theorist" to describe truthers in his book obviously invokes the negative connotation of the term. Here is some more of the iceberg from Professor Hall's review, some of which I will explore further. James Bennett states, "The Truthers of course condemn him for ad hominem attacks, but in reality, he is actually rather kind to them, much kinder than I would be..."
The problem with this is that after stating Steven Jones is a "famous Brigham Young University physicist renowned for his work with cold fusion back in the 1980s," Kay soon thereafter approvingly quotes James about Jones, insinuating he's just seeking adulation: "Look at Steven Jones. He had his brush with fame with cold fusion. But it didn't pan out. And it became a miniscandal in the scientific community. He almost accomplished something. But now he's in the Truth movement. He's lauded by thousands. He gives speeches. People talk about him in the same breath as Ganhi and Jesus." Kay himself calls Jones "a celebrity Truther who pioneered the myth that the World Trade Center buildings were brought down with thermite" and as professor Hall notes "demeans the Mormonism" of Jones. First off, citing articles Jones wrote extolling Mormonism as further evidence of his kookiness is certainly an example of rejecting an argument "on the basis of some irrelevant fact about the author." Otherwise known as ad hominem. As Jones explained in his paper "Revisiting 9/11/2001 --Applying the Scientific Method," his research is not what became a "miniscandal in the scientific community." In the mid-1980s, Jones and other BYU scientists worked on what he then referred to as Cold Nuclear Fusion in a Scientific American article, but is today known as muon-catalyzed fusion to avoid confusion with the cold fusion concept of Pons and Fleischman. A New York Times article says that while peer reviewers were quite critical of Pons and Fleishchmann's research they did not apply such criticism to Jones' much more modest, theoretically supported findings. Although critics insisted that his results likely stemmed from experimental error, most of the reviewing physicists indicated that he was a careful scientist. Later research and experiments supported the metallic cold fusion reports by Jones. Jones writes, "It’s remarkable isn’t it? Metal-catalyzed (cold) fusion is a very unpopular field in the United States because of misunderstandings and guilt by association and so on. Yet there’s a lot of hope here at least for understanding nature -- and we may eventually get to an energy source based on fusion." As noted on Wikipedia's article on ad hominems, "Guilt by association can sometimes also be a type of ad hominem fallacy if the argument attacks a source because of the similarity between the views of someone making an argument and other proponents of the argument." And as Frank Moher writes in his review, "Kay’s tactic here is the same one used by Michael Shermer of the seriously missnamed Skeptics Society, which is, as the subtitle indicates, to mix up the 9/11 truth movement with The Protocols of Zion, holocaust denial, birtherism, moon hoaxism, etc., into one big wacky ball of racism and lunacy. And his method is as dishonest as Shermer’s as well." Kay also lumps Steven Jones, Richard Gage (an example of "midlife crisis" according to Kay), actor Daniel Sunjata, former governor Jesse Ventura, and actor Charlie Sheen, in with Jarded Loughner, the shooter of Congresswoman Gabrielle Giffords, and Iranaian president Mahmoud Ahmadinejad, who Kay states is "a Truther, too, naturally." The reader is reminded that Ahmadinejad "also doubts" the Holocaust as well as 9/11. Loughner's friend also said he enjoyed smoking Salvia Divinorum, a hallucinogenic herb recently made famous by Miley Cyrus. So using the propagandist's flawed logic, I guess that means she's a killer too! When Ahmadinejad stated at the U.N. in September of 2010 that "most people believe the U.S. government was responsible for the attacks of September 11, 2001" well known 9/11 activist John Parulis had this to say in a reply to another commenter on 911blogger.com, "...This seems to be an ongoing line of thought in the Truth Movement...that even bad associations and ties to erroneous positions are 'good' for our movement because they keep a spotlight on 9/11 and the claims we make to an alternative view. Where is your proof that this type of negative association works?" Of course Kay using Ahmadinejad against us is proof that there is none. By attending a 9/11 conference in Iran, we would indeed be associating with Ahmadinejad's repressive government and any experiments or papers delivered there would be suspect. It's called "guilt by association". We must seek out and cultivate stronger moral and political supporters than this. I continue to be amazed by the gullibility of many posters here in thinking Ahmadinejad's statements will be of some, any, benefit to us. I think if President Ahmadinejad's support of an alternate theory regarding the events of 9/11/01 is brought up, the best thing to do is simply state that everyone is entitled to an opinion and the 9/11 truth movement does not support him or any repressive regime anywhere in the world. We are about facts, physics and logic, and getting a complete and transparent investigation into the largest single day crime ever to take place on American soil. There were also many comments (such as this excellent one from "Snow Crash") decrying Ahmadinejad's Holocaust denial. Paul Joseph Watson of the popular site InfoWars.com wrote that Ahmadinejad is "a petty dictator and an odious character who oversees a regime of oppression and disregard for human rights," but noted that "just because Ahmadinejad discusses a certain topic doesn’t instantly discredit the basis of that issue." That is unless you are Jonathan Kay, engaging in guilt-by-association ad hominem attacks. There is certainly not enough consensus in the truth movement that Ahmadinejad is among our accepted ranks. This is not to say that Jesse Ventura is any longer in good standing with a large portion of the movement after endorsing unpopular views on the destruction of the WTC and the Pentagon attack. And Charlie Sheen, well... messenger aside, his message has been pretty good, so I'm still in his korner. ;) Bottom line is, none of the actual active truthers on that list deserve to be associated with a would-be assassin and a man who held a holocaust denial conference featuring David Duke, former Imperial Wizard of the Ku Klux Klan. Getting back to Steven Jones, the idea that Jones stuck to his guns in the face of a negative reaction from his community and university; ultimately leading to him losing his career, for adulation that had mostly not come yet is absurd. As with 9/11 and cold fusion researches, I'm trying to bring the scientific method including experiments using state-of-the-art equipment to find out what's really going on here, and to contribute if I can to the goal of achieving cheap, local clean energy. In recent months, I have done tests using advanced techniques to evaluate input and output power -- experiments that suggest there MAY be a previously-untapped source of energy here. (I still believe in the law of Conservation of Mass-Energy!) I'm trying once again to bring “rigor without rancor”. Jones has not jumped the gun and published his data in any papers and has made his experimental data open-source; a move that makes replication and thus confirmation or refutation much easier. 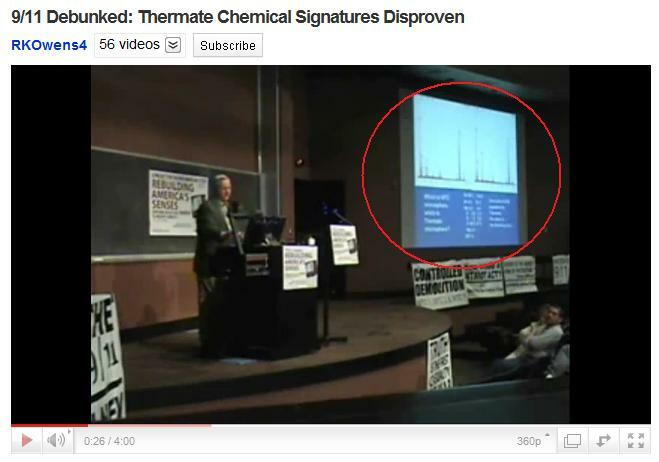 It was this same type of approach with his 9/11 studies that makes it impossible to dismiss him as simply a fame chasing purveyor of a "myth that the World Trade Center buildings were brought down with thermite"
In 2007, chemical engineer Mark Basile attended a conference by Jones where he spoke of his preliminary findings regarding the nano-thermite. Basile approached Jones afterward and offered to independently look at a sample of dust that Jones had gathered from four NYC residents to see if he could confirm his findings. Since he did replicate the results of Jones and his colleagues "debunkers" conclude that he is not independent, but the fact of the matter is, he seems to have only become a full-fledged truther after this duplication. Basile has stated that he even obtained a completely independent sample of dust from a NYC museum. Conversely, the nano-thermite paper was published in an open-access journal over two years ago, but has yet to be refuted in similar fashion, as the paper's second author, current BYU phyics professor and lab director for TEM (TEM stands for Transmission Electron Microscopy), Dr. Jeffrey Farrer PhD., recently stated in a blog post here which he contributed to, (one of 46 posts from our archive that tear to shreds ludicrous paint claims, hypocritical peer-review arguments and conspiratorial chain of custody suggestions) "I... cannot understand why critics of our paper expect us to retract our conclusions when there has been no data put forth that leads to any other conclusion than that which we have made in the paper." Niels Harrit, who is an expert in nano-chemistry and an Associate Professor of Chemistry at Copenhagen University in Denmark, was the first author of the nano-thermite paper. Critics often act as if Jones wrote the paper alone. As Victoria Ashley of 9/11 Research pointed out, "Niels Harrit is not in Utah and did not start off working with Steve. They have different labs and both found the same things. Harrit walks a reporter through his lab in one of the videos." 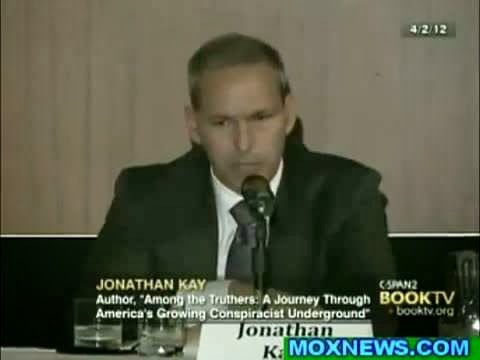 Even the facts that 9/11 family members and activist Jon Gold have brought to light were ignored by Kay because the family members are just "Truthers who fell into the damaged-survivor category" and Gold is not thinking clearly because he is blinded by their emotions. Just sent this to him… [Kay] I notice in your book you try to portray my sympathy for the families that lost someone that day, that are still seeking justice, as a bad thing. Never in a million years did I think my support for those who needed it most would ever be used against me. You are disgraceful, and a hack. Thats not at all what I did. And its bizarre that you would characterize what I wrote that way. But I wont bother arguing with you, besides this brief statement. Stating that “the spectacle of their grief short-circuits our intellectual faculties” is an insult. I was involved in this cause long before I saw Bob McIlvaine cry. I hope that you never have to see a loved one brutally murdered, and watch each investigation into that murder have its own version of corruption and compromise. You completely ignored the real story. That this was started by the families.. that each investigation had its own version of compromise and corruption… that there are too many unanswered questions… that there are indications of criminality, etc… and so on. Instead… you focused primarily on the nuts… the weakest links… you latched every conspiracy theory known to man onto 9/11… portrayed us as psychologically unstable… used ad hominem attacks… and you ignored incriminating information and people. You are disgraceful and a hack. There’s some truth for you. As Frank Moher noted in his review, "Barrie Zwicker, a journalist of longer standing and quite a bit more distinction than Kay, becomes 'an amiable crank,' ... And David Ray Griffin, who has spent not two but eight years studying his subject and published 11 books about it, is also, simply, a crank." Kay called his use of the word crank a "term of endearment" during his debate with Richard Gage, Paul Zarembka, and Barry Zwicker who retorts that "in the context of your book it comes out as a term of abuse." Wikipedia defines crank as "a disparaging term for a person who holds an unorthodox opinion" and crank.net who showcases "cranks, crackpots, kooks, & loons on the net" seems to agree. Many come to their crankdom in middle age, or at the end of their their working lives, as they are casting about for some project to occupy their hyperactive brains. In some cases, cranks are high-functioning intellectuals frustrated by a menial profession... Many cranks have a Asperger's like-like obsession with arithmetic, flowcarts, maps, and lengthy data lists... What drives the cranks on an emotional level isn't the substance of their theories: Many of the Truther cranks I've interviewed-including David Ray Griffin, Barry Zwicker, and Paul Zarembka... treated the issue as a debating exercise, and seemed curiously detached from the profoundly disturbing implications that flow from their claims. What cranks truly crave is exhilarating sense of independence, control, and superiority that come from declaring oneself a self-sufficient intellectual force. Many truthers "are smarter than the average person" we are told and it is this very attribute that "shields them in their own mind from criticism." The fact that being smart and a crank are not mutually exclusive does not make it a term of endearment. As to Kay's psyciatric evaluation, professor Hall writes, "Without even a gloss of credentials in the field, Kay appoints himself as a practitioner his own school of social psychiatry. From this platform of quackery Kay diagnoses all those who do not share his worldview as victims of 'collectively experienced mental illness.'" On the other hand, Washington's Blog notes that "many mental health professionals have concluded that the official version of 9/11 is false, and that those who believe the official version suffer from emotional problems or defense mechanisms." Furthermore, it is not surprising that people who are still deeply involved in their working lives are far less likely to have the time and inclination to look into 9/11, and smart individuals with menial jobs may very well choose to exercise their intellectual prowess through 9/11 research. In either case, it does not mean they are doing so because they have the inherent superiority complex of crankdom that shields them "in their own mind from criticism." It is this, that makes or breaks Kay's case. "Kay explains rather, that 1. he really didn't have much new to add to the debunking argument (he cites several books and Internet sites, including this one, as resources for this), and 2. his editor didn't think that there was a market for such a book, because the Truthers would not believe anything he put and everyone else didn't need to be told. I agree to a certain extent, although we have done a lot of debunking over the last 5 years, I have gotten to the point where about all I discuss is the psychology of this movement, because really, is much really added by our pointing out for the 15th time that the hijackers actually were on the flight manifests?" Well, major 9/11 truth sites have acknowledged this as fact, see here and here. Not very cranky of us. Economics Professor Paul Zarembka, who Kay mentions in his diatribe on cranks, has recently written that the work of Mike Williams at the debunking site 911myths.com has caused him "to reconsider [his] prior conclusion of high probability of insider trading in put options" for American and United airlines stocks. I have previously stated that I believe the insider trading issue had been effectively debunked. Again, not very cranky of us. The fact of the matter is, the best criticism of debunkers, such as that of the 9/11 fake phone calls theory of David Ray Griffin (who Kay calls the "leading crank" of the movement) has been accepted and expanded upon by many truthers. In this case and with the no plane at the Pentagon claims, many 9/11 truth activists never accepted these claims in the first place. And while Griffin and many others still don't accept these criticisms, a possibly cranky trait, its very existence proves the movement can accept criticism and can't be pigeonholed. During his debate with Richard Gage, et al. Kay stated, "In terms of WTC 7, you don't have to go to the 9/11 Commission Report, you can go to the NIST report... done by hundreds of engineers, probably the most advanced finite-element method computer simulation done in the history of engineering... but most of the conspiracy theorists I meet have no desire to read reports like that, or if they do they discredit them because their from the government." This stems from our "nihilistic distrust of government." First off, the heart of the matter here is valid criticism vs bunk criticism. How can we tell the difference? Michael Angier of successnet.org imparts this bit of wisdom from a friend, "If one person calls you a horse, well that's just an opinion. If two people call you a horse, you may want to stop and think about it. If three people call you a horse, you may want to start shopping for a saddle." In the case of the NIST WTC 7 report, we have prominent individuals from both sides of the 9/11 truth debate as well as a NIST whistle-blower agreeing that NIST is not operating with scientific considerations first. So, that's a start, but we'll get back there in a second. Every aspect of NIST's theory of a fire-induced global collapse of WTC 7... depends on implausible claims and outright fabrications. Its theory of weakened floor beams depends on implausible steel temperatures, which in turn depend on implausible fire temperatures. Its theory of thermally induced girder failure depends on two cases of fraud: denying the existence of shear studs and fabricating a 'differential thermal expansion' in it computer simulation by heating the steel beams but not the floor slabs. Its theory of how thermally expanded beams wreaked havac presupposes an implausible amount of elongation. Griffin notes that both "debunker" Dr. Frank Greening and truther chemist Kevin Ryan "have concluded... steel beams could not have reached 600 °C..." which NIST claims is the temperature reached by five floor beams that initiated the collapse. Griffin also notes that Greening concurs that "NIST's simulated fires seem to be 300 to 400°C too hot and to have endured two or more hours too long" and that "the simulated collapse of WTC 7 looks nothing like the actual collapse." Other "debunkers," such as on the comments to the YouTube video below, point out that the models "are just showing the inner structure," but as Griffin notes, Greening demonstrates that "the internal progression of column failures would have had noticeable effects on the building's exterior." In October 2008, Greening and three of his colleagues were published in the American Society of Civil Engineers' peer reviewed Journal of Engineering Mechanics (JEM). Their paper "What Did and Did Not Cause Collapse of WTC Twin Towers in New York" promoted the pile-driver or crush-down theory in which the tops of the Towers act as giant sledgehammers. Greening was the third author of the paper, the first being engineer Zdenek Bazant who wrote another paper also published by the JEM on 9/13/01 essentially promoting the theory. The problem for Greening and company is that their paper has been refuted twice in the same journal it was published in by members of the truth movement. See this article by Ryan and this interview with Greening conducted by truther Kevin Barret regarding WTC 7. Also see this criticism of Greening regarding the nano-thermite issue and this criticism of Barret on many other issues. While not supporting the controlled demolition theory, James Quintiere, the former chief of NIST's fire science division has also called for an independent review of the World Trade Center Investigation, stating, "I wish that there would be a peer review of this." As Griffin makes clear, this applies to WTC 7 as well. 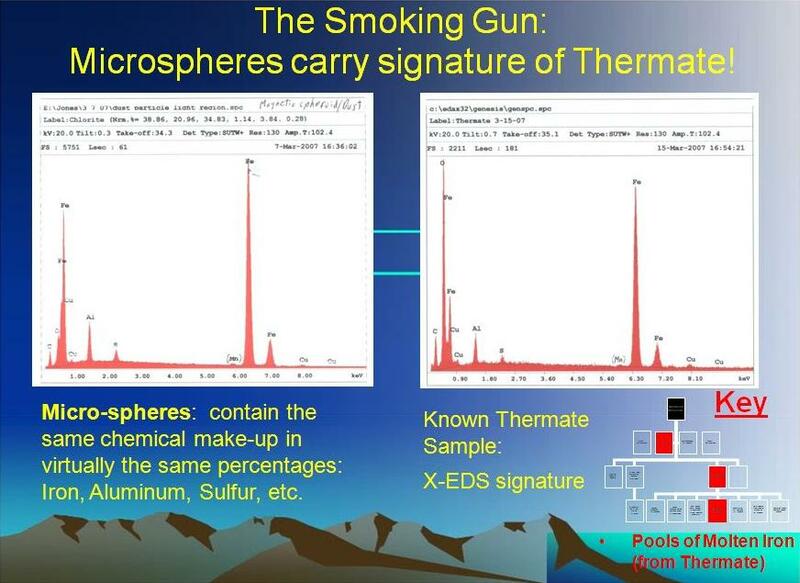 Conversely, the nano-thermite paper was peer-reviewed and replicated. While "debunkers" have claimed these efforts were not adeqaute they have not still not answered the April 2009 challenge from Steven Jones, when he stated, "IF it is so easy to publish in Bentham Scientific journals, or if these are 'vanity publications' (note: there is no factual basis for these charges) -- then why don't the objectors write up their objections and get them peer-reviewed and published?? The fact is, it is not easy, as serious objectors will find out." In summation: we have a prominent "debunker" and a former NIST employee essentially agreeing the NIST WTC 7 report is bunk. NIST's theory on the Towers and WTC 7 were not peer-reviewed and a prominent paper supporting the NIST report on the Towers was refuted twice by the truth movement in the same journal it was published in. Conversely, despite claims of shoddy peer-review and replication, the nano-thermite paper has not been refuted anywhere outside of blogs and forums; with no actual experiments being undertaken. Is Kay shielding himself from this valid criticism in his own mind, ignorant of it, or feigning ignorance. If it's the first, he is doing as he says his opponents do. If it's the second, it further proves he has only taken a cursory look at 9/11 truth material. And if it's the third, he is being disingenuous. I called into Jonathan Kay about two weeks ago on the radio. Naturally he cut me off. But I captured it on audio. One of his big problems about us “conspiracy theorists” (i.e. people who study the details and ask legitimate questions, using the laws of physics…you know, crazy guys like Isaac Newton), is that we are difficult to debate because we know these little things called “facts”. And the “Academics” are scared to debate, because the conspiracy theorist will bring up those scary points that the academics will not know how to answer. But as Pat Curley of Screw Loose Change advised Kay in 2008, "Don't Sweat the Details, John... ...Use the resources that are already out there, like Mike Wilson's (correction: Williams) 9-11 Myths, or Kate's Debunking 9-11 or Mark Robert's WTC 7 Lies page. Our archives contain a lot of material that you can find by using the search feature at the top left." Why the experts at New Mexico Tech failed with thermite..​. …maybe, just maybe, it had something to do with their funding. Van Romero, Vice President of New Mexico Institute of Mining and Technology, gained lasting notoriety for candid remarks concerning the collapses of the Twin Towers. In a September 11, 2001 article in the Albuquerque Journal, Romero was quoted as stating that the collapses of the Twin Towers were the result of explosive devices. Today at the Global Alliance for Vaccines and Immunisation conference, David Cameron pledged a further £814 million of British taxpayer money towards third-world vaccination programs. Bill Gates, a well known vaccine advocate who jointly hosted the conference with Cameron, pledged a billion dollars to the fund. According to activists, Gates, though not on the official attendee list, was present at the Bilderberg conference in Switzerland on friday. At TED 2010, Gates revealed that vaccines will play a role in reducing the population, and has since repeated this many times. The 'nothing to see here' explanation for Bill Gates' quote is that the population of the third world is currently high due to poor health, and improving the health will lower the population. For a while, I struggled to follow the logic that the population of the third world is high because lot's of children are dying, but now I see it does make sense. The populations of western countries are lower because they naturally stabilized when the countries developed, due to an overall improvement in health. The reason poverty causes overpopulation is because high child mortality leads to mothers having more kids. Let's say for example a country has a ten percent child mortality rate. In other words, one in ten children will die before they reach adulthood. Such a high rate will prompt parents to have more kids to balance it out, but since you can't have 0.1 of a kid, most parents will say have one more kid, resulting in more births than deaths and an increase in the population. Now I still see some logical problems with this. For one thing, when population increases, so does poverty, which would increase the death rate and you'd think it would balance out. Also there are other reasons why birth rates in western countries are lower, such as the fact that we have better access to contraceptives. I didn't interpret Bill Gates' statement as an admission like other people have - "see, Bill Gates admitted vaccines are bad" - but rather I see it as another dot to connect. I already know vaccines are bad, that's Dot No. 1. I also know, from all the scandals, and from common sense, that man-made global warming is a fraud, that's Dot No. 2. And here's a multi-billionaire, who's associated with the likes of David Rockefeller (there's twenty more dots right there! ), invoking the climate fraud and saying vaccines are going to be used for population control ... You connect the dots! The reason Bill Gates wants to lower the population of the third world supposedly is to reduce global CO2 emissions to combat 'climate change'. Whenever the 'threat' of climate change is invoked to justify something, you should be suspicious. In ancient times the priest class would claim whenever there was a solar eclipse that a 'snake god' was eating the sun, and would eat the Earth unless their tribes worshipped them. This whole climate hysteria is just the modern day equivalent - blaming humans for natural phenomena. Hell, they tried blaming the earthquake in Japan on 'climate change'. It may very well have been due to climate change, but of course when they say 'climate change', they're implying 'human CO2', which is ridiculous. I challenge anyone to read this excellent analysis of the leaked 'ClimateGate' emails and still have 100% confidence in the 'science' of anthropogenic global warming. Another thing to consider is that the elite have no intention of developing the third world. In fact, the environmental movement has become the number one force for preventing third-world development. This is exposed in the documentary The Great Global Warming Swindle. This is made obvious in Bill Gates' TED talk with his formula: P×S×E×C. It's no good lowering the P (Population) of the third world if you're going to increase its S, E and C (Services, Energy and Carbon use), because that would just cancel it out. So in the same way the western world has to lower its S, E and C to be more 'sustainable', which will condemn us to poverty, the third world must remain in poverty. If you still doubt that 'depopulation' means 'killing people', consider this. According to veteran Bilderberg journalist Jim Tucker, who has moles inside the meetings who leak intel to him every year that allows him to essentially predict the future, one of the main talking points at this year's Bilderberg, which Bill Gates attended, was the wars in the middle east. According to Tucker, "They're unifed on their war project. Their rationalization is that the world is too crowded anyway, they have to limit the population growth, and one way to do it is with our wars. They've been amplifying that all day". So in this sense, 'depopulation' really does mean 'killing people'. Just yesterday, in the NATO/Bilderberg led 'kinetic military action' in Libya, a university was bombed, leaving many innocent students and staff members dead. This is the sort of thing they mean when they say 'depopulation'. It's not about saving lives, it's about ending lives. So, can you really be sure when they talk about vaccinating the third world to reduce the population, they mean '... by saving lives'? Can you really be sure that the Microsoft founder who sounds like Kermit the Frog has good intentions? Since mid-April I've been unemployed again. It's times like this I'm glad I don't pay tax. On thursday, Mario Borghezio, a member of the EU parliament, tried to enter the Bilderberg meeting with other EU parliament members, he presented his credentials and security assulted him, giving him a bloody nose, and arrested him. But it's just a friendly supper club ;). The UK conservative Chancellor George Osborne is attending the meeting IN OFFICAL CAPACITY. In other words, the British taxpayer is paying for him to meet and discuss official business with international finance ministers, heads of state and the CEOs, chairmen, founders, presidents and directors of top corporations and banks in secret. This is shocking in itself, but the fact that the media aren't reporting on this is scandalous. The most robust way for insider masterminds to stage 9/11 and get away with it is to arrange for their agents to infiltrate among "real foreign terrorists." Let them come up with their own plots (or plant plots among them), choose a plot that will produce the results desired by the masterminds, and see that through to fruition. Of all the pseudointellectuals who are rolled out to debunk us, one who annoys me more than any other is David Aaronovitch. He was on the UK radio station talkSPORT a few weeks ago, minutes before Alex Jones was due to come on, and he and the host were basically making fun of him and 9/11 truth etc., and the host asked him if he's ever found a conspiracy convincing and his response was. "If you examine enough conspiracy theories, such is the kind of conviction that people have, and so good are they sometimes at putting together the science, there are always moments when you suddenly think, 'maybe it's not them, maybe it's me, maybe I'm completely wrong', and you're gonna go back to basics and you look at it again and you ask yourself this one simple question: what is the actual evidence for their version of events? And the answer almost always is, there is not only just not very much, there isn't any at all. Not 'what's the evidence suggesting that the official version has problems in it? ', because all versions have problems in it, but 'what is the actual evidence for their version of events? ', and you won't find any." Oh really, you want evidence? Fine! I guess the peer-reviewed and twice independently verified documentation of high-tech explosive nanotechnology in WTC dust samples is all in our heads then! There's plenty of evidence supporting alternative views of 9/11 especially, not just evidence against the official story, you just deny it exists. But even if there wasn't, should we just ignore all the evidence of a coverup and other problems with the official story (and they're big gaping holes, not just minor issues) because there's no evidence for anything better? No. The fallacy in that is that the stuff that's being covered up is probably evidence for something better, and by ignoring the coverup on the basis that there is no evidence for anything better, you are never going to uncover the evidence for anything better! It's basically just a circular dismissal of our side and an acceptance of, and borderline complicity in, the coverup. Our criticisms of the official story go far beyond slight inconsistencies. Take for example the 9/11 Commission documents leaked by Cryptome that show Sibel Edmonds' and Behrooz Sarshar's testimonies basically fully censored. This is not just "evidence that the official story has problems in it", this is evidence of full-blown intentional coverup! Aaronovitch was in the National Geographic hitpiece. His main argument in the piece was the usual 'it would have required thousands of people' chestnut, with added psychological BS. As I keep saying, ignoring hard evidence of a conspiracy on the basis that you can't concieve of how it could be carried out is an argument from personal incredulity, a logical fallacy ... but he of course would disagree, because he denies there is any evidence! A BBC article published today attempts to debunk concerns about the Bilderberg Group. Before mixing Bilderberg researchers in with anti-semites and believers of David Icke's colourful views, the BBC article quotes Aaronovitch as saying "It's really an occasional supper club for the rich and powerful"! HAHAHA! A supper club?! How many 'supper clubs' are protected by armed guards ordered to shoot trespassers on sight and F-16 fighter jets?! How is it people like Aaronovitch & Kay can dismiss Bilderberg as a benign 'supper club' when many of the US officials who attend are violating federal law (the logan act), leaked documents from the 50s reveal they were planning the EU way back then, the Treaty of Rome in 1957, essentially the birth of the EU, was signed by Bilderberg attendees, most NATO leaders have been attendees, Bilderberg chairman Étienne Davignon admitted in 2009 that they created the Euro, the president of the EU, Van Rompuy, was a Bilderberg attendee, presidents and prime ministers such a Clinton, Blair, Obama and Cameron all attended the conference shortly before being 'elected', Kissinger was able to attend the meeting in Spain last year despite being wanted for war crimes there, and moles inside often leak information that allows people to accurately predict the future? ... maar natuurlijk, de rapporteur probeert toch altijd wel een synthese te trekken, en iedereen is verondersteld gebruik te maken van die conclusies in het milieu waar hij invloed heeft hé. ... but of course, always the report tries to draw a synthesis, and everyone is supposed to use those conclusions in the environment where he has his influence. Oh, and apparently they discuss assassinating people too! Just a 'supper club'? Sure, you keep telling yourself that! 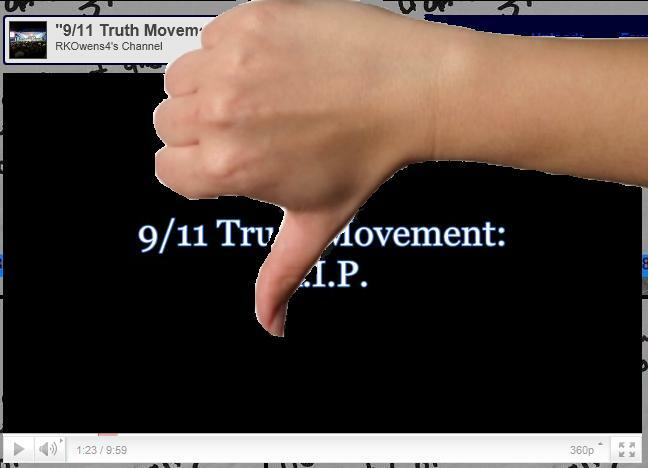 Youtube debunker Ryan Owens recently uploaded his new film titled 9/11 Truth Movement: R.I.P. As one might expect from a common debunker video, the film is riddled with insults and taunting sound effects. However, within this jumble of silliness and insults there are some actual attempts at debunking claims made by the Truth Movement. So let's take a look at what Mr. Owens has to say in his latest videos. 2:12 The first obvious falsity that can be spotted in Mr. Owens' film is his claim that Truthers believe George Bush carried out the 9/11 attacks. He also implies the movement thinks he faked the moon landings and killed JFK (who claimed this Mr. Owens?). In fact, it seems that few in the movement believe Bush played any major role in the attacks, but that he and the administration could have allowed the attacks to occur. He also mentions how the terrorists have repeatedly claimed responsibility for the attacks. Here's our position on that here and here. 4:17 Mr. Owens next talks to Nico Haupt about no planes at the WTC. Although already quite obvious, hardly any prominent members of the movement believe any sort of "no planes hit the Towers" theories. 6:04 The next topic Ryan discusses is the "fire weakening steel" argument, an issue I recently extensively addressed. He also discusses the "free-fall" issue of the Towers' collapses. As I have already demonstrated, the collapse times of the Towers were consistent with controlled demolitions. 6:52 At this point, Mr. Owens brings up the fact that the majority of architects and engineers in the world have not signed the AE911Truth petition. This sort of argument simply appeals to majority, and doesn't bother to address the actual evidence. Neither Mr. Owens or I can say for sure how many architects and engineers in the world have even read the NIST reports. But it is obvious that 1500 architects and engineers is an impressive amount. And who knows? Perhaps someday we will have the majority on our side. The debunkers are the same people who used to claim we would never get even one architect or engineer to agree with us. They have obviously been proven wrong there. Of course, when that happens all they can do is move the goalpost. 7:51 Mr. Owens next moves on to the NORAD issue. John-Michael Talboo's excellent analysis of the issue of foreknowledge and the lack of air defense is recommended reading for this topic. 1:52 The next issue brought up in the video is the white plane seen at the WTC. In all likelihood, the presence of that plane was not evidence of a conspiracy. 2:50 Mr. Owens next brings up the issue of molten metal at Ground Zero. He points out that John Gross never denied molten metal at the site, just molten steel. This is obviously still quite absurd, as numerous witnesses on the site claimed to have seen molten steel. And it seems even Leslie Robertson denied molten metal at Ground Zero. Mr. Owens dismisses the molten metal at Ground Zero, claiming that metals such as copper, lead and aluminum were present at the site and could easily have melted. Oh really? Hot enough to melt lead, but to vaporize it? "[T]he observed surface of this metal is still reddish-orange some six weeks after 9-11. This implies a large quantity of a metal with fairly low heat conductivity and a relatively large heat capacity (e.g., iron is more likely than aluminum) even in an underground location." Mr. Owens claims that even if the temperatures at Ground Zero had reached 2750°F, this still would not be surprising, since that temperature has been reached in other underground fires. This article by Andrea Dreger provides detailed rebuttals to attempts to explain the extreme and persistent high temperatures in the Ground Zero rubble piles as the results of fires rather than of energetic materials used to demolish the buildings. 6:11 Mr. Owens then claims that the highest temperatures recorded by the thermal imaging was 1342°F. This is false. To date, there is still no explanation for the high temperatures and the molten metal at Ground Zero. 7:36 The next part of Mr. Owens' video brings up the FEMA article mentioned by Jason Bermas. Listen to what Jason actually said about this issue. Mr. Owens finishes up by saying that the molten metal is not even evidence for demolition. On the contrary, the extreme heat and molten metal at Ground Zero is evidence of the use of high-tech aluminothermics, which could have been used to demolish the Towers. The beginning of Ryan Owens' last video deals with thermate, Steven Jones and molten steel from WTC2, all of which he claims he's debunked in his other videos. I of course have already refuted most of his major videos. 0:10 Mr. Owens brings up the molten metal flowing from WTC2, claiming it to be aluminum. He has already been refuted on this point. 1:56 At this point Ryan discusses how Popular Mechanics was only a magazine article, and that it didn't state NIST's official conclusions. This seems quite rich, considering that Mr. Owens kept his WTC7 video up for over two years with outdated material after the NIST final report came out. It was only after I addressed him on the issue did he make any changes. 4:11 From this point on Ryan discusses Barry Jennings and Michael Hess, and claims truthers are lying about their experiences on 9/11. Here's an excellent analyzation of their story and a debunking of the BBC piece that Ryan references. 7:00 Ryan then finishes his film with just a series of insults, and discusses polls on the Truth Movement. The fact of the matter is that polls show broad skepticism among Americans of official 9/11 narrative. Mr. Owens' film is nothing more than three-part series of petty insults and childish jokes. He has been proven wrong numerous times, and should be seen as debunked and exposed.